Lieutenant 22-40 First Responder Foundation mission is to provide funding towards grants to support education, training and lifesaving equipment to better serve their communities. Our Mission is to provide funding towards grants, supporting education, training, and lifesaving equipment needs for volunteer fire companies to better serve their communities. 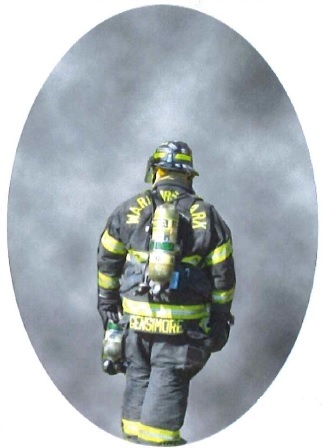 For over 27 years, Bobby Gensimore was a dedicated Volunteer Fireman and a First Responder for the Warriors Mark–Franklin Volunteer Fire Company with the call name of LT 22-40. The LT 22-40 First Responders Foundation was established to honor Bobby. On February 17, 2018, Bobby was setting up flares to warn motorists of an accident when he was struck by a vehicle and taken from us. Helping others was Bobby’s passion. Bobby will be forever missed and the community will never forget the love and support he had for his fellow firemen and first responders. Volunteer Fire Companies require training to stay current with the latest technology. Unfortunately, smaller companies are no longer operating due to lack of funding. The proceeds from this Foundation will go towards grants to support education, training and lifesaving equipment to better serve their communities.